Instagram stories may have received critical acclaim at the time when they were launched but it didn’t take long for them to take off. Instagram has proved time and again why it has become so progressively popular in a short span of time and why users should prefer using their stories instead of Snapchat. 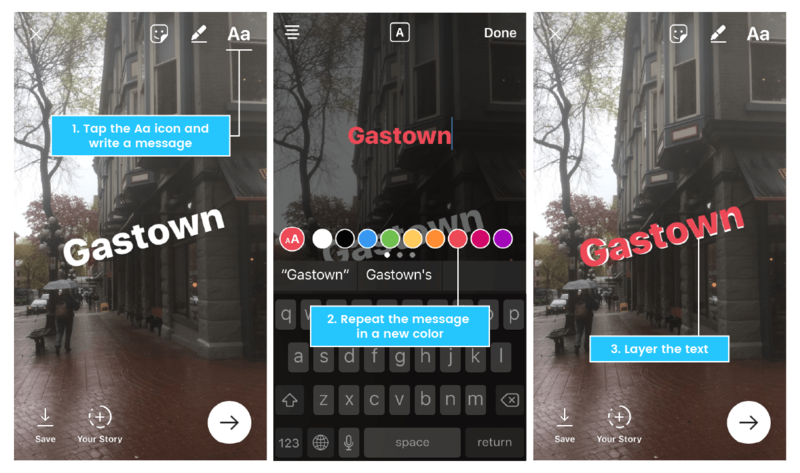 To largely benefit from this stunning feature, let’s find out how you can use Instagram stories effectively. When Instagram launched its stories back in August 2016, much to the horror of competitors like Snapchat, nobody could believe one day it would surpass the latter’s popularity and become an instant favorite among users when it came to sharing stories on social media. Last year in September, Instagram announced having 800 million monthly active users with 500 million of those who come back to the app each day. In contrast, Snapchat expressed that it had 173 million daily active users as of the month of August. It evidently shows Instagram Stories are far ahead than Snapchat now. 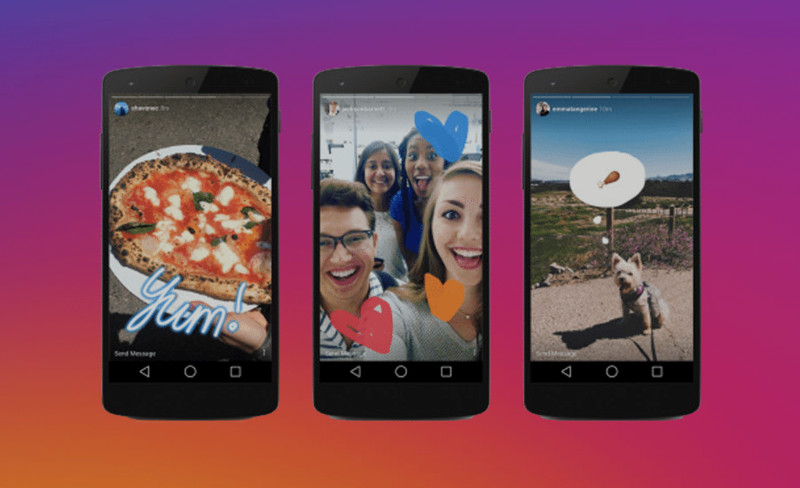 Apart from that, ever since Instagram has launched the stories feature, it has been continuously bringing updates to it, adding amazingly popular features like Superzoom and Boomerang. 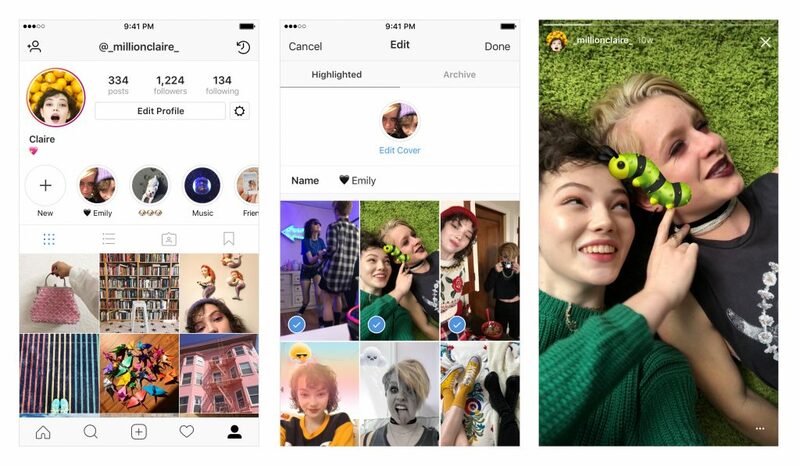 Moreover, users can also add GIF stickers and Polls to their Instagram stories, making them as interactive as possible. Instagram stories can benefit in so many ways one could ever imagine. If you want to benefit yourself from this feature, then you have to use it effectually. Confused? Don’t worry. 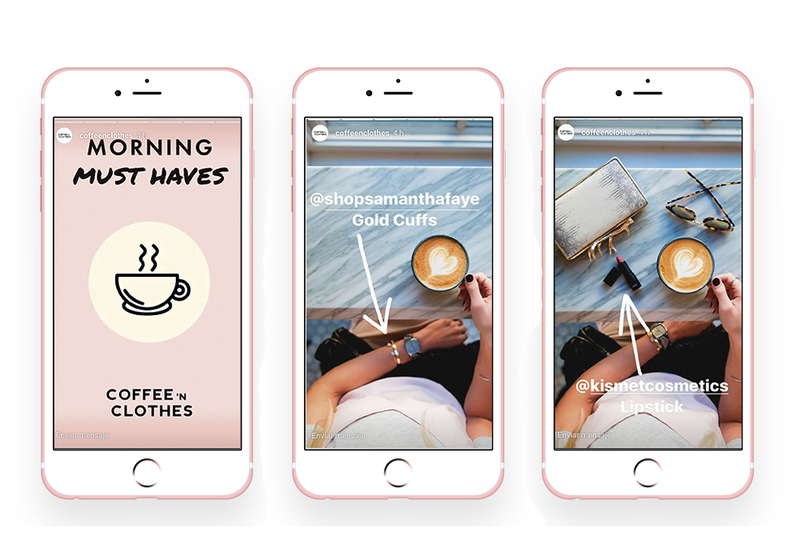 We’ll tell you how you can use Instagram stories effectively and make your Instagram account – personal or business – ever popular. Just follow our quick tips and tricks and learn some interesting Instagram stories’ ideas from us! 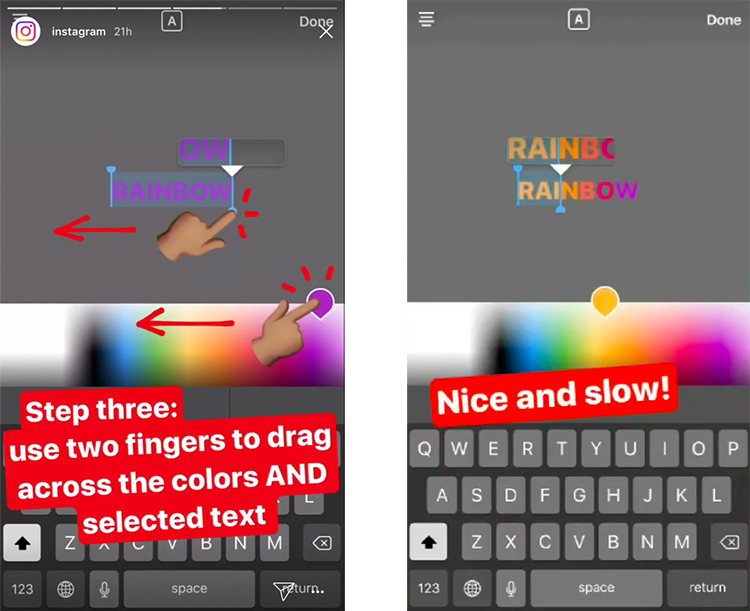 Not many people know they can accent each of their Instagram Stories with colorful rainbow text. Though it’s a little tricky, still you can get around with it once you start practicing. Simply type your normal message with the help of the text tool. Highlight the part of the text you want to turn into a different color. Now using two fingers drag one across the text and another across the range of colors shown at the bottom of your phone screen. The colors of the letters will start changing as you move across them. A useful tip is to slowly drag your fingers across the text so you can color each letter properly. When you turn your mundane Instagram story into a bit of virtual essay, it becomes interesting. It’s important for a story to follow a narrative in order to keep it engaging. Assume each story is a slide where users are getting to witness a slideshow. You can do this by formulating the story you want to share, break it into different parts, and then shoot away. You can make your story either simple or a bit dramatic – that’s totally your call. You can add a block of color, add it to your entire story and then write the text in the end. But remember, you should never overdo a story. Avoid overloading your photo by adding too much text in it so that readers can easily read your message in a short span of time. As mentioned in the earlier point, you can also add solid colors to the background of your stories. 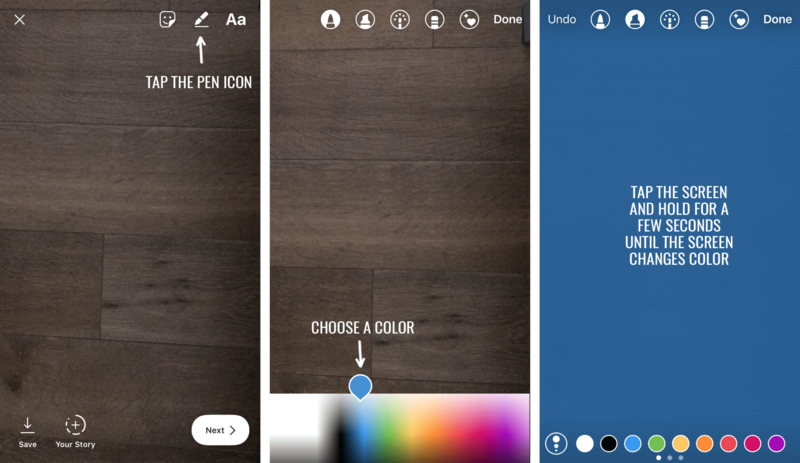 All you need to do is take a random photo of anything, tap the pen tool and then select a color of your choice. Long press on the photo and then watch it turn into a full slab of color that you picked. The background color can also be customized by long pressing on a color. By doing this, the color map will show up and you can pick a color of your own choice. Instagram stories can get a whole lot interesting if you keep playing around with them. For instance, you can get creative with your text-only stories by adding a hint of dropshadow to your text. If you want to put emphasis on your text message, you can manually create a dropshadow behind it. In order to do this, simply write the text message first using the text tool. Then copy the same text and paste it again into a different text box. You need to make sure the size of the text is same as the original one. Now, you need to darken the copied text to a shadowy gray and then put it behind the original text. This will add emphasis to your text message and give it a different look. We are pretty sure you must have had used Boomerangs on your Instagram stories. However, we don’t think you’ve got a chance to get a bit creative with them. You can add forward and reverse videos in Boomerangs to build suspense for the viewers. To create a better video, you need to make sure you record the motion right and set all the videos in the right place so it doesn’t look like haphazard. It’s always a good idea to save a copy of your photo before you start messing around with it. It’s like a failsafe way of ensuring you don’t lose the original picture once you load it with text and emoji. In case you format the picture and do not like what you’ve created on the picture, you can always go back to the original and start over again. Instagram also allows you to make a story appear permanently in the form of a ‘Highlight’ on your profile. This is quite an easy tip but most of the users forget that they can also upload to Instagram stories directly from their camera roll. In case you’re busy and can’t find enough time to upload your Instagram stories then it’s always a good idea taking pictures from your normal camera and then uploading them as stories later when you are free. The benefit of uploading stories later is that you get ample of time to play around with them, adding emojis and stickers to make them look more appealing.